Since we seem to post a lot of My Little Pony art (and by "we" I mean mostly myself), here's a separate thread. Well, since there's a section for pony pics, I think it's fitting to post the link to the dA page of Lauren Faust here. She has a dA page? O.o Cool! You know, the Amazing Trixie looks pretty good as a human. ^ Unless first gen started in the 80s. Because I'm a dork and I looked it up. Some of the things bronies come up with. XD I can't get over Spidey's wings. Hasbro sent a cease and desist letter to dA regarding one of the plushie makers on there. She was the best one. 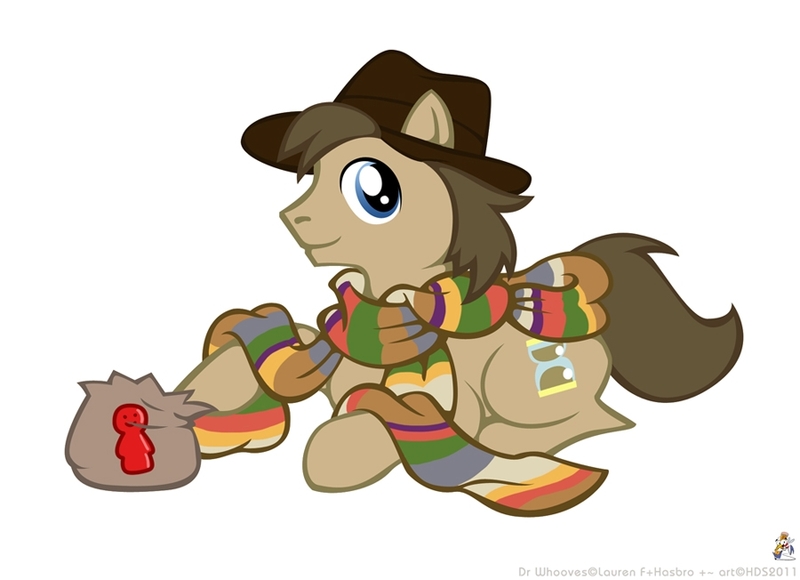 Anyway, I doubt the plushie craze won't last if Hasbro keeps it up. They actually don't mind it (Lauren Faust even commissioned the lady who got the letter once before), but there are laws they have to abide to. If it's on a commission basis, I don't think it's as big a problem. If the person mass-produces plushies and has them in a warehouse, then it's a bit more of a problem. Hasbro should just hire the plushie maker or buy her patterns. Nope. They were commissioned based and she got in trouble. Everyone is complaining to Hasbro about it, saying they need to either start selling plushies or just let her continue. Yeah, it's not like she's competing with their products. Hers don't talk or walk. Really the only thing that can be said to "pwn" theirs is that they actually look good. Yeah, she made good quality plushies. If Hasbro decided to get into the plushie market, there is no way in heck they quality will be as good as that girl's plushies, because they'll be made in China and all. I don't know about you, but I think the quality of toys has gone downhill. I have some old McDonald's toys from when I was little that I gave to my sister and they have lasted longer than the toys that she gets from there now.